Spare me some self-serving mea culpa from a Trump drone who claims in a book to have just now figured out what the rest of us have known since Day One. Christie thus joins Omarosa Manigault Newman, whose “Unhinged: An Insider’s Account of the Trump White House,” came out in August, and Cliff Sims, whose “Team of Vipers: My 500 Extraordinary Days in the Trump White House” also was released last month. Granted, Trump Remorse is just a literary trickle now. But given the extraordinary rate at which the man burns through personnel, it’s reasonable to think the trickle may soon become a flood. Indeed, who knows that John Kelly is not huddling with a literary agent at this very moment or that Jeff Sessions is not holed up somewhere, tapping his frustrations out on a keyboard? Not that you’d find me lining up for their books. Nor will I read Christie’s, Sims’ or Manigault Newman’s. Why provide an audience for their rationalizations, explanations, defenses and excuses? Even as guilty pleasure it feels like a waste. After all, the only thing these authors really have to offer is the gratification that comes of hearing some true believer finally admit what you already knew. And with Christie, you barely even get that. 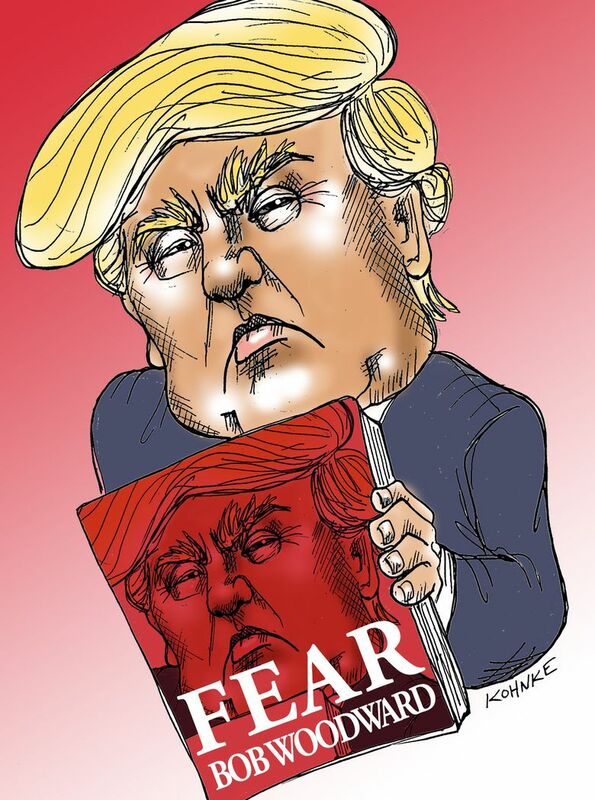 To judge from media coverage, his book concentrates its fire on the circus Trump surrounds himself with, while the ringmaster himself escapes relatively unscathed. But even if Christie had gone at him hammer and tongs, even if Sessions, Kelly, Kellyanne Conway, Jared Kushner, Sarah Huckabee Sanders and every other Trump whisperer in Trumplandia were to finally admit the emperor is dancing a buck and wing in his birthday suit, what should or would that mean to the rest of us, mired in the midst of this slow-rolling national disaster? At this stage of the game, how much satisfaction is there in being able to say, “I told you so”? About as much as there is in buying a fire extinguisher after the house burns down. Point being, there is no element of Trump’s awfulness — not the racism, not the sexism, not the narcissism, not the lying, not the incompetence, not the bullying, not the corruption and not the deep and dismaying stupidity — that was not knowable, that was not as obvious as a neon sign in a mineshaft, before he was elected. So what’s changed? What do these people suddenly see now that they couldn’t then? Speaking up then might have mattered, might have changed something. But they were silent, implicitly vouching for this man and his team. Now they’re writing books in order to … what? Rehabilitate image? Unburden conscience? Make some coin? Not that the reason matters to me. Spending money — or time — on some book of Trump Remorse would only add vicious insult to crippling injury. But spare me some self-serving mea culpa from a Trump drone who claims to have just now figured out what the rest of us have known since Day One. They can take their books and shelve them.